We start our journey from Mawanella around 8.00 a.m. Our aim was visit important places as much we can during the day. Because now we came to last part of our journey. We start our journey from Matale & our next destination was Kandy. On that way we went to see “Hakkinda” area. After having some time there we went to Kandy. We left from Anuradhapura around 8.00 a.m & reached to Jathika Namal Uyana around 9.00 a.m. We spent couple of hours there & came back to entrance around 11.30 a.m. From there we went to Ibbankatuwa Wewa. We had good bath there & we left to see Ibbankatuwa Megalith Cemetery. Now this place developed & maintain nicely. We arrived to Anuradhapura around 4.00 p.m on 16th evening. First we had little rest & then we visit to “Mirisawetiya Viharaya”. Next we went to “Isrumuniya Viharaya” & “Ran Masu Uyana”. On 15th morning we left from Kalankuttiya & first we visit Awkana Viharaya. After that we had little rest at “Kala Wewa”. After visiting “Vijithapura Viharaya” we came to Galkulama via Maradankadawala. Again long awaited August vacation came. We decided to arrange a tour like last year we do. 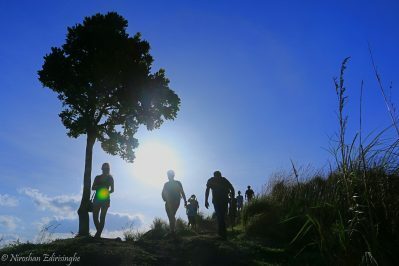 Ella (ඇල්ල) is one of the best tourist destinations of Sri Lanka. It is attracted by more foreigners than local travelers.Therefore it has been developed as a tourist city where number of hotels, restaurant are situated. This is a short account of tourists attractions around Ella. We still in Mahiyanganaya & first we went to “Mahiyangana Raja Maha Viharaya”. After that we went to Sora Bora Wewa. New day started & we planned to go Mahiyangana side.We left from Bibile to Mahiyanganaya around 7.30 a.m & on that way we went see “Kotasara Piyangala Viharaya”. We almost completed 7 days of our trip. Its time to leave from Ampara District. We decided to visit Bibile. We leave from Inginiyagala around 7.30 a.m & we came to Bibile via Namal Oya. We still in Ampara & we visited “Budhangala Aranya” in early morning. It was easy to walk in Aranya premises in morning session. We spent couple of time there & came back to Ampara town. We decide to visit Inginiyagala side to cover some important places.